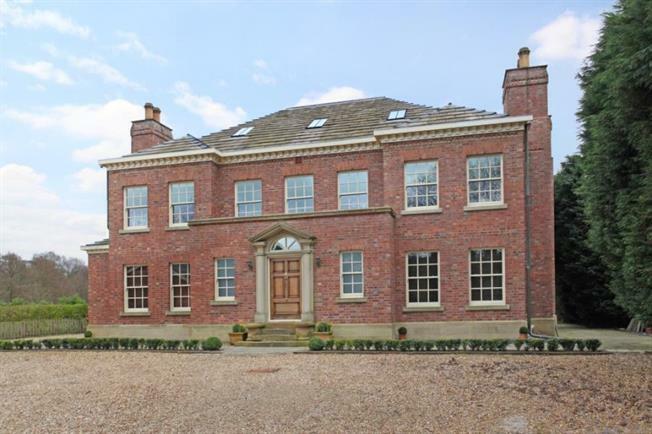 6 Bedroom Detached House For Sale in Macclesfield for Offers Over £2,995,000. A unique opportunity to purchase a stunning property hidden within the heart of Prestbury village finished to exacting standards set within a two acre plot. This is truly a unique opportunity to acquire a recently constructed property in a Georgian vernacular offering fluid spacious accommodation. The property comprises of galleried hall, four reception rooms, six bedrooms, dressing room, five bath/shower rooms, cinema room and games room with bar area, gym, office laundry, utility room, internal work shop as well as features such as laundry lift. Externally there is extensive parking and a triple garage with room over, workshops and stables.